When eight-person consulting company Sputnik Moment needed help creating marketing materials for a conference, the solution was just a few feet away. Sputnik Moment enlisted the services of graphic design company Eeko Studio for help with these materials. 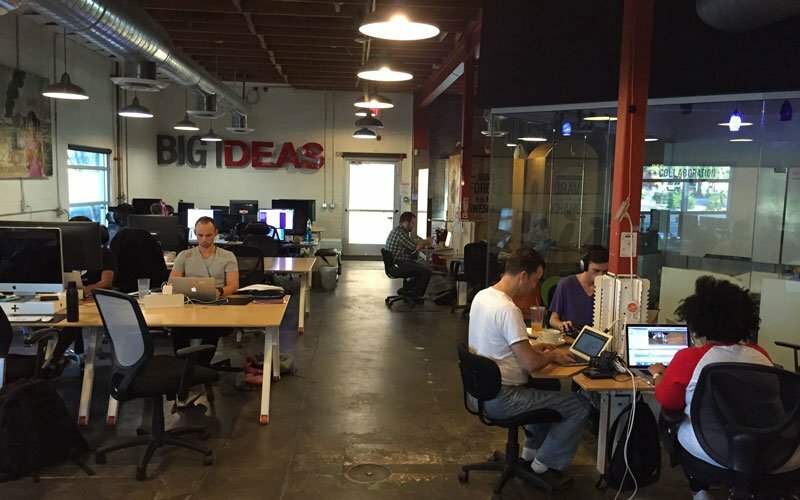 The two companies work out of Phoenix co-working space Co+Hoots. Sputnik Moment CEO and Founder Pierre Kaluzny said their collaboration simply arose out of casual conversations. Co-working spaces like Co+Hoots are dedicated, shared work environments where multiple companies or individuals can rent space. The organizations housing the spaces offer tiers of memberships that customize how members use their areas. Co-working spaces have exploded across the U.S, and a handful have cropped up in the Valley. U.S. co-working spaces grew from one in 2005 to 781 in 2013, according to a 2013 report by the NAIOP Research Foundation, a commercial real estate development association. Symmetry 50, a small-business bookkeeping company, listed four Valley co-working spaces in its 2015 list of the Top 100 U.S. co-working spaces. Co+Hoots and The Office Pile in Phoenix, EZ Spaces in Gilbert and Gangplank in Chandler ranked second, fifth, 16th and 48th respectively on the list. Users said part of the draw is the collaboration and networking opportunities available at co-working spaces. 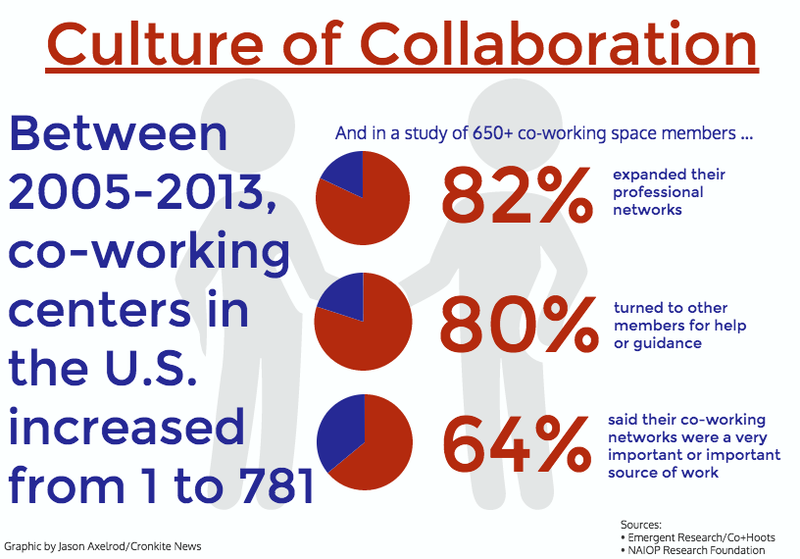 A survey of more than 650 co-working space members noted that 64 percent of its participants placed importance on their co-working networks as a source of work, according to small business research firm Emergent Research. Part of this networking capability is because of interior design. 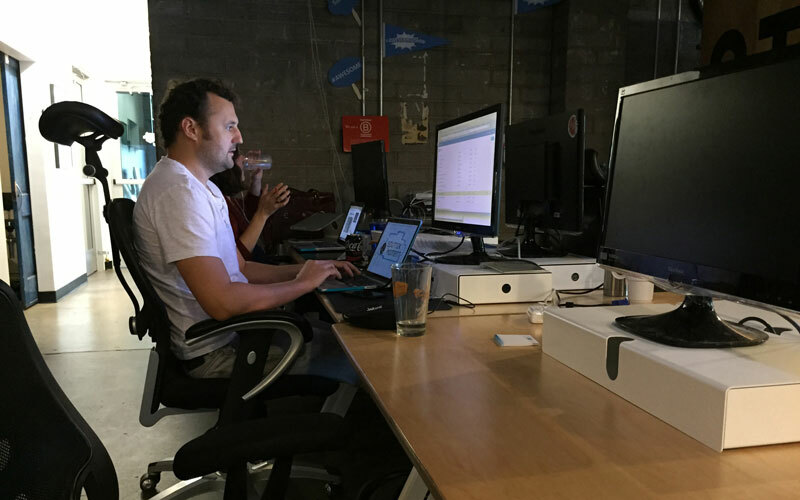 In co-working spaces like Co+Hoots, The Office Pile and DeskHub in Scottsdale, people work next to each other at conjoining desks in wide-open spaces. Blake Ashforth, a professor of management at Arizona State University’s W.P. Carey School of Business, said that knocking down those physical walls in turn knocks down social walls between people. That sort of proximity also can help individuals quickly and easily obtain insight about topics they don’t know about. The Emergent Research survey found that 80 percent of its participants asked other members for help or guidance. Tighe Wilhelmy, co-founder of Scottsdale-based Local Lawyer Guide, moved his company from a traditional office into DeskHub in February. 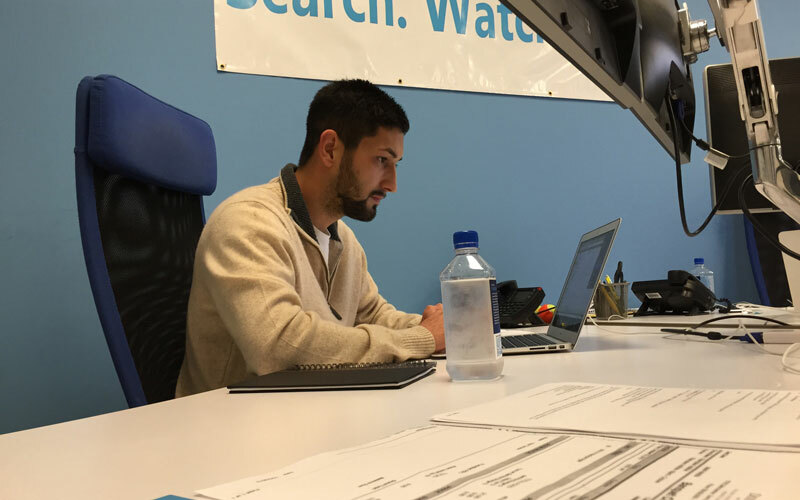 He ended up situated near sales automation company SalesTalk and started speaking with that company’s CEO, Richard Brock, about marketing automation and customer relationship management. The conversations helped Wilhelmy make informed decisions about his own marketing and customer relationship plans, he said. “Just being able to talk to him, whether it be at lunch or in the mornings or maybe after hours … it’s been amazing, it’s been perfect,” Wilhelmy said. Employees from DeskHub, Co+Hoots and The Office Pile said hosting regular events plays a major role in fostering the sense of community in their organizations. Common events include workshops, discussions and social functions. Many of these events are open to nonmembers as well. Kenyatta Turner, an independent associate for LegalShield who works out of The Office Pile, said attending a networking event brought her to the space in the first place. But even without the formality of an event, Turner said she regularly encounters networking opportunities by sitting and working. It wasn’t something she expected. That openness can have its detriments, though. Ashforth said the noise in open co-working spaces can be distracting, and they can lead to a lack of privacy. DeskHub and Co+Hoots combat this by offering designated offices or private areas for members to use. For Wilhelmy, the distractions lie in the abundance of ideas that come from conversing with so many people with different talents. The common thread between these individuals is their reason for being there – working. Turner said this shared purpose differentiates working in this kind of environment from say, a coffee shop.